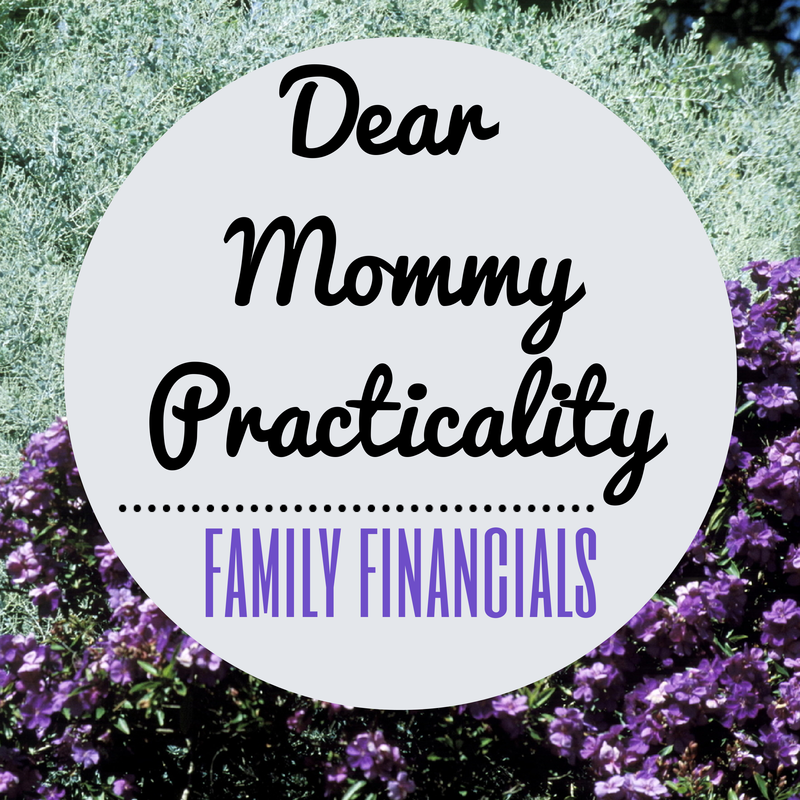 Our first letter sender for our #DearMommyPracticality Season 2 (very TV-series-like) comes from a very hardworking wife who is having some concerns about their current family financial set-up. Hi.Good Day! Hello sis you (may) call me Bluemorpho nalang. Actually sis i don't know kung big problem ba talaga 'to or ginagawa ko lang big deal for me. I have two kids (2 boys) the one is turning to 6 yrs old and the other is turning into 1 yr old. We know already na mahirap ang buhay ngayon. 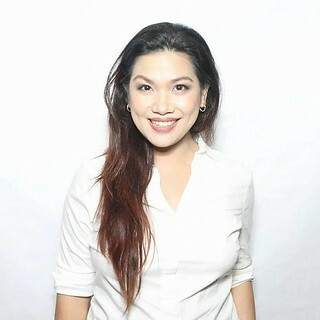 The problem is nagresign po kasi husband ko sa work so ako nalang po nagwowork.and he decided na sya nalang mag-alaga sa two kids po namin. Alam po natin na madaming expenses right now tulad ng tuition fees etc. Sa tingin mo ba sis big deal yung problem ko? First of all, thank you for entrusting my with your family concerns. To answer your letter if indeed it's a big deal, YES it is a BIG deal. Anything that concerns your family, anything that bothers you as a life partner as a wife and anything that will affect your family's (especially the kids') future is a big deal. But with the grace of God, nothing is impossible to solve or get over with. 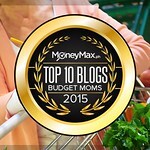 I see two issues here: 1) Family's Financial State 2) Communication. I agree with you Bluemorpho when you said that "mahirap ang buhay ngayon." I remember when my siblings and I were growing up, only my dad was working and my mom was a full-time housewife. Back then, we were doing okay. Having just one of them work for the family was okay. When the mid-90's came, (my two elder brothers already graduated by this time) my parents put up a small business and worked hard to keep the two of us undergrads (me and the youngest sibling) in school. I witnessed and experienced the transitioning from a comfortable life to a just-enough life. My dad retired early and my mom worked double-time to keep the small merchandising and school supplies store going. We went through a tough time that during my senior year in college, I almost stopped schooling for one semester. Good thing, my working brothers helped with my school expenses. So I understand your worries, I understand where you are also coming from. In relation to your concern, there's really nothing wrong if one of you stays at home and the other one works full time as long as both of you talked about this and agreed with this kind of set up. In fact, in the future, that's how I envision our set-up would be. Hubby works and I stay at home or work at home and take care of the children and the household too. But for now, both of us are working full-time because that's the set-up that works for our family. They say, "To each his own." If you think that that kind of set up works well for your family, then that's great. "Hi honey/darling/sweetheart/mahal/babe/baby, I feel sad/worried/bothered/afraid about your resignation because __________________________ (your reasons/concerns here)." Remember a dialogue is a conversation between two people with an objective to iron issues (should there be any) and come out of it with an agreement, peacefully. So after you've laid down your concerns and feelings about your situation, don't leave his feelings and his career concerns out. Maybe there's something wrong at work, maybe he's having a difficult situation or he's going through some challenges with his co-workers. You'll really never know until you ask. Sometimes our men don't talk first unless we ask them. So there, I do hope that I was able to help you answer some questions in your mind. I pray that you'll be able to sort this out with your husband. Always remember in marriage and in family affairs, you and your husband are ONE. Also, never forget to pray always to God for anything and everything! God bless! 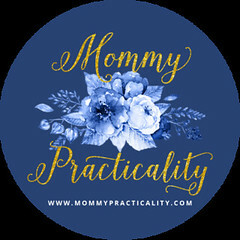 It seems that Mommy Practicality has given you a very sound advice. Maybe your husband is going through some problems at work which led to this decision, but I hope you do sit down and iron things out. You do need to agree and make decisions together, especially on important things like letting go of income. You don't want to end up bitter and harbor ill-feelings towards your husband in the end. Thank you for sharing your story. I wish you the best. Marami ring advantage ang pag-i-stay-at-home ng isa sa mag-asawa, may maganda itong naidudulot sa mga anak at sa kabilang banda nakatitipid rin ito dahil sa halip na kumuha pa at magbayad pa ng yaya ay ang isa na lamang sa inyo ang mag-aalaga at mag-iintindi sa mga anak. Kung isyu talaga ang pinansyal at sa tingin mo ay mas higit itong mahalaga dapat nga sigurong pag-usapan sa maayos na paraan. Huwag mo rin sanang kalimutan ang manalangin at humingi ng wisdom sa Diyos. I was also in that situation, nung binabasa ko yung letter mo parang ako ang sumulat. My husband lost his job in November 2013, A little background lang my small family lives with my mom and dad my parents are already old, my mom is sick and my dad has no permanent job (most of the time alang pera), si husband nman nagwork sa isang computer shop 150.00 per day for 8 hours and I work full time sa isang Korean company (I earn 12k lang a month + flexible incentives yang lang un). Nawalang ng job ang husband kahit na sabihin mo na 150 lang ang sahod nya sya ang sagot sa everyday na pang ulam namin. Then yung grocery, vaccine etc ako na lahat lahat, nung mawalan sya ng work hayyyyyyyy... hirap na hirap tlga kami nandyan na buwan buwan na maysakit ang anak ko, naconfine pa sya (hanggang ngayon nagbabayad pa ako ng utang because of this), tapos nagkasakit ako na need ko ng malaking pera for my medicines. Lahat ng pagsusumikap na istretch ang budget at iless ang dpat malessen still not enough what I did applied for a homebased online tutorial though di malaki bayad dito pero naging pandagdag pambili man lang ng gatas at diaper ng baby namin. After so many months of waiting PRAISE THE LORD kasi my husband already found a job and just had his first paycheck last sahod lang. Ang moral lang naman dito sa experience ko eh, kayanin ang dpat kayanin and always pray as in pray a lot. Ipriority ang dpat ipriority na expenses as in less not important expenses na ppwede namang wala lang eating out pwede namang wala nun di ba? kung dati bumibili ka ng 1liter ng mantika at nagpapang abot naman ang supply why not lessen it to 500ml or 250ml kung kaya. Make yourselves healthy, yan ang nakakasira ng budget ng bonggang bongga.